This week, I got to spend 3 days – yep, count ‘em up, 3 days (including travel time) in beautiful Orlando, Florida. Yes – most folks would spend at least three days there PLUS travel time, but not this busy gal. I was there for the Cattle Industry Summer Conference as a member of the Nebraska Beef Council. 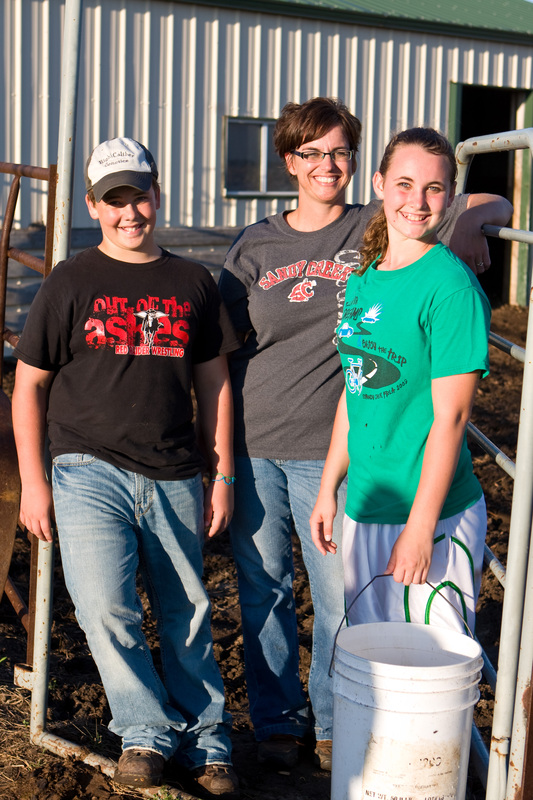 Beef is my passion…it’s what my family raises, it’s what we love to eat, and I want to be part of assuring a strong future for beef. At this conferernce people from all segments of the beef world and all corners of our great country come together to discuss current issues, work on programs and initiatives, and all in all, try to set the course for various projects to the overall betterment of the entire beef industry. Oh yes, I can hear the wonderment and curiosity rolling around in your head right now….how can all different types of people from different backgrounds and different segments of the business agree on the said course for overall betterment? Well, let me tell you – as many different cowboys, cattlemen, nutritionists, scientists, and enonomists as you can cram in a room – there will DEFINITELY be that many different ideas on how something should be done. However, EVERYONE has one goal in mind and that is to help more people be able to enjoy more beef as part of a healthy diet more often. With alot of determination, some prayer, some give & take, and a whole lot of heart, progress is made! Everyone has a passion for something. Maybe it’s youth education or gardening or hospital care or travel or little league baseball or Boy or Girl Scouts…this list is endless, so I’m going to quit there. The point is, whatever it is you care alot about, you should get involved so you can help assure it’s future. You get to meet some great new people and talk about what you love – not a bad way to spend some time! At our conference, we got to hear from Presidential Candidate, Harold Cain. WOW!!!!!! I have never met a presidential candidate who cared so deeply about making sure every American is assured the right to the pursuit of happiness (actually, before Tuesday, I had never met a presidential candidate at all – Haha! )…and he does point out the key word “pursuit” in that statement. I loved his enthusiasm and demonstration of work ethic! 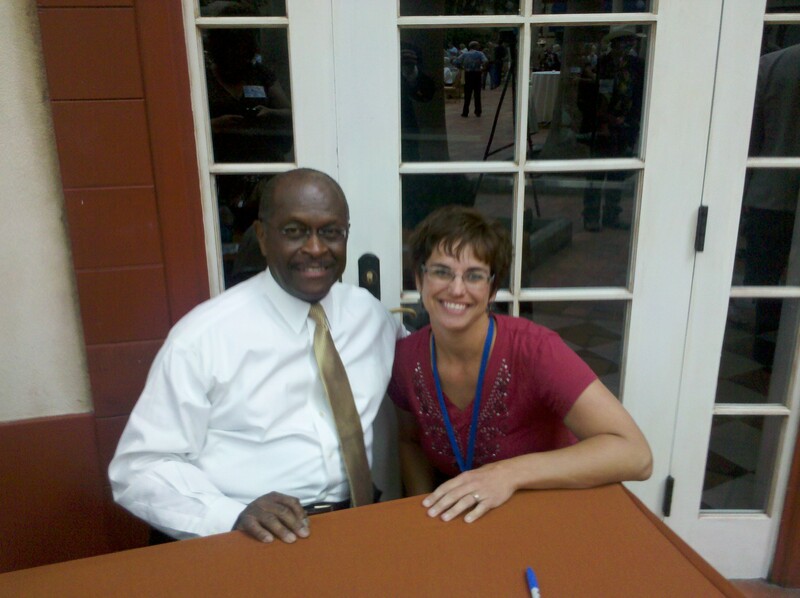 So, just in case he makes it onto the ballot, and even more importantly, if he becomes President of the United States, I have this photo to prove that I actually did meet him…..how exciting for me!!!!! If you have a moment, I encourage you to check out his website & do a bit of reading about him -he has quite a story to tell and some bold ideas for our country. Even if you don’t agree with everything he suggests, it is definitely worth your time.